Susan was born in Chattanooga, TN. She has lived in Alabama, Mississippi, Montana, Arizona, Maryland and California. She lived in Felton, California until she moved to Sonora in 2006. Susan began has an instructional aide at Safari and then received her early children units enabling her to teach. She has taught at Safari since it opened in 2007. Susan graduated from high school in Antioch, California. She attended Woodbury University in Los Angeles for one year, then Academy of Art in San Francisco. She is currently attending Columbia College. Susan has been married to Steve Nelson for 35 years. She has three children Ben, Tamara, and Shannon, daughter-in-law Laura, and two grandchildren. She loves painting, scrapbooking and Children’s Ministry. 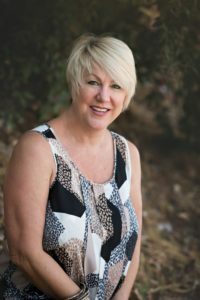 She has taken two missionary trips to India and and, with her husband, is involved in a ministry to the homeless in Sonora, CA plus volunteers for Samaritan’s Purse. If you look on the playground, in the toddler room and in the Safari Day Care, Susan did the coloration and shading on our murals. Beth grew up in the California East Bay after moving from her birth place of Chicago Heights, IL. She graduated from Tennyson High School then received her first AA degree in Commercial Art and a second AA degree in Early Childhood Development from Chabot College. She continued to take photography and fine art classes, figure drawing and oil painting for fun, and took American Sign Language. At first Beth thought she would follow in her dad’s footsteps in Advertising but hated it! So she proceeded with Early Childhood Development. Thirty some years later she is still at it! As a child her family camped and spent many happy times locally in the Sierra foothills and mountains. She fell in love with this area and always felt more at home here. She felt “homesick” whenever she had to return to the Bay Area. Beth always knew she wanted to live here. Finally, after a divorce, she decided to make the move. It was very scary not having a job or knowing a soul. But she was blessed by finding a tiny cottage for rent owned by a Sonora family. It even came with a rent-a-teen and a rent-a-dog. At the time she was doing In Home Care for hospice patients and the elderly. She really loved that work and met many wonderful people. Three years ago she moved back to Hayward to assist her own elderly mother. After her mom’s death, Beth returned to her sweet little home here in the Mother Lode. 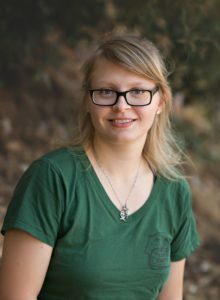 Currently she is active at Calvary Chapel and enjoys gardening, camping, taking nature hikes, fishing and painting in watercolors, acrylics and oils. She is very grateful to be living her dream here in Sonora! Terri was born in Sonora, CA. She was second generation to be born in Tuolumne County on both her dad and mom’s side. She has two younger brothers, two nieces, three nephews, five great nieces and one great nephew. She attended a one room school, Wards Ferry Elementary, from first through seventh grade. She graduated from Curtis Creek in 1969 and went to Sonora Union High School where she graduated in January of 1973. She earned the Bank of America Business Award her graduating year. Growing up, she always wanted to be a school teacher and use to torture her brothers into playing school. While in high school she had great typing and secretarial skills and teachers pushed her in the direction of secretarial, which she pursued. She went to work for the Tuolumne County Court Reporter in January of 1973. She worked there for two years also filling in for the Superior Court Judge as secretary when his secretary became ill.
She then went to work for a local Attorney and worked for him for eight years. He closed his business and she went to work as a Legal Secretary for the Calaveras County District Attorney’s Office. She got married and quit work to be a housewife. That was not fulfilling enough and she opened her own business typing California State Parole Hearings for eight years with a contract through the State of California. When the contract was up, she went to work to fill in for a school secretary that was ill at Columbia Elementary and ended up being hired as an aide and part-time secretary. Again, her great secretarial skills pulled her into the office full time and away from the kids. That again was not satisfying and she joined AmeriCorp to be able to go back to college and pursue teaching. She was a tutor and aide for Soulsbyville and Jamestown Elementary School. Jamestown hired her as an aide and she worked there for ten years. At that time, she also attended full-time college and took 24 units of Child Development, two teaching classes and liberal studies earning 94 college units at Columbia and Modesto Junior College. She also has attended every workshop and class she could for working with developmentally disabled children. She has worked with several autistic children, bi-polar, and other special needs children. While working at Jamestown she again ended up doing more secretarial than teaching and saw an ad in the newspaper for a teaching job at Safari Learning Academy. She immediately contacted us, and was hired making her dream of teaching come true. 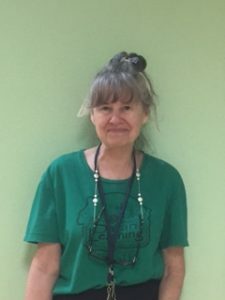 She is currently teaching a K-1 class at Safari as well as being the Administrative Secretary to the Director of Safari and founder of Zoo-phonics®, Inc.
She lives in a house on the property that is owned by her parents and helps take care of her mom who is 82, but still going strong. Jessica moved back to her hometown of Sonora, CA two years ago from Los Angeles. 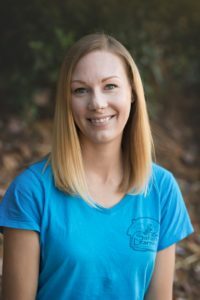 Her first experience working with children was after high school when she coached gymnastics and discovered her passion for working with children. In Los Angeles Jessica taught music classes at Gymboree and gained over four years of experience working as a nanny. It was after working with so many kids that Jessica realized that she wanted to continue her education to become a teacher. She graduated with honors from Columbia College with an AA degree in Liberal Studies with an emphasis on teaching. She is planning on continuing her education at CSU Stanislaus. 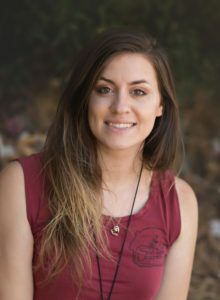 While living in Los Angeles, Jessica got to explore her other passions by studying holistic medicine, becoming a yoga teacher, singing and playing guitar. As the music and movement teacher in the toddler program she is excited to be able to combine most of these passions and use them to create an enjoyable experience for the children. Jessica’s hobbies include yoga, writing music, being outside in nature, and reading. In addition to working at Safari she also teaches yoga classes in Sonora. Diana’s training as a teacher started in Menlo Park where she went through the Miss Lorraine’s Modeling School where she taught skin care and exercise classes. She continued to educate herself and attended Foothill College majoring in Computer Science. She ran a small clothing business while attending San Francisco University majoring in Broadcasting. She then began to study Opera at San Jose State, taking music classes, working full time and recording songs. Diana started her own talent agency, found work for bands in the Bay Area and created a small circuit in the Motherlode. She was able to create jobs for models, musicians and dancers. It wasn’t until she became a parent that she realized how much she enjoyed watching little bright eyes discover the world. Diana volunteered in all of her children’s preschools and joined the Sonora Parent Nursery. This encouraged her to go back to college and learn about child development. She worked for Mother Goose Preschool in Sonora, Pooh Corner in Arnold, and the Superintendent of Schools as a substitute Teacher’s Aide. She also started a charity for enrichment after school and is attending an on-line college; Grand Canyon University. Diana has worked with children for over 15 years and has received an award from Ed Minium for filling a need in the community. Diana has gained a great deal of experience and insight on how to help very young children learn. Ali was born and raised in Dublin, CA. This year she moved to Twain Harte, after marrying the love of her life. Ali attended Dublin High School through independent study, and was able to graduate a year early. 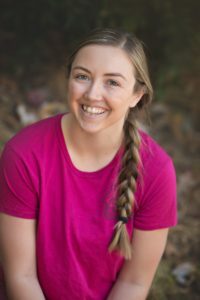 She took advantage of that time by going to Diablo Valley College, volunteering at her local church in Dublin, and nannying for several families. After that, she worked at Valley Christian Preschool for two years. Ali received her AA degree in History, and a certificate for Early Childhood Education from DVC. She hopes to transfer in the future to be able to pursue her dreams of becoming a junior high school history teacher. Ali found her love for working with children when she was 14 years old after taking a month long mission trip to South Africa. After that trip, she came back knowing she wanted to serve children and took every step she could to follow that dream. Ali is a passionate person that loves the environment, history, children, animals, and reading. In her spare time, you can find her at the beach, at a lake, playing with her puppy, learning new things, reading, or riding horses. Marissa was born and raised in Valley Springs, Ca. 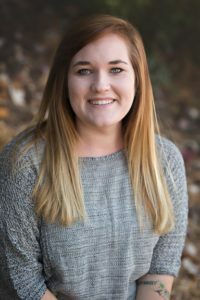 After graduating high school, she attended Folsom Lake College working towards her degree in art history. While attending college, she started working as a nanny. 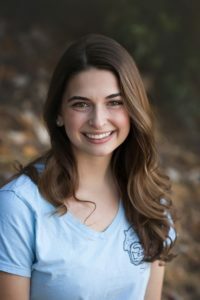 As she continued through school, Marissa discovered her love for working with children and eventually changed her degree major to social and behavioral sciences. She continued to nanny for about a year, but then had to leave to finish up her degree. 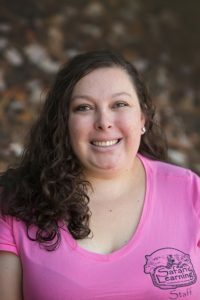 After completing her A.A. degree, she starting working for Jackson State Preschool in Amador Office of Education as an instructional assistant and continued there for two years, where she then discovered she wanted to be a preschool teacher. Along with working at the preschool, Marissa also started working for Pacific Homecare Services where she provided respite care for her two cousins on the Autistic spectrum. Aside from working at Safari, Marissa owns and operates a home-based business, selling and creating numerous apparel and home decor items. In her spare time, Marissa enjoys: art, photography, traveling, camping and being outdoors. Marina was born in San Jose, but moved to Sonora with her parents when she was 3. She attended Sonora Elementary School and then Sonora High School where she graduated in 2005. 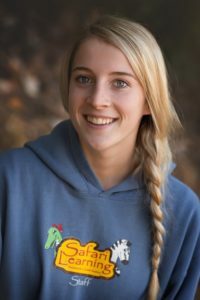 At the age of 8, Marina started Therapeutic Horseback Riding and fell in love with being around the horses and assisting with other students lessons. After high school Marina attended Columbia College for her general education as well as taking Early Childhood Education Classes. In 2007, Marina received a job offer with Sonora TJMAXX and has been there ever since. After a few years of being at Columbia College and TJMAXX Marina decided to take a break from school to focus on her job. She is now excited to start back with classes in the spring. In Marina’s spare time she is a secondary caretaker for her grandmother who has Alzheimer’s. She also loves spending time with the rest of her family, close girlfriends and their kids, whom she considers her sisters and nieces/ nephews. Marina also loves making her own jewelry. Audrey was born and raised in Sonora. She attended Sonora Elementary School and Sonora High School through her sophomore year. Deciding that getting a job and graduating high school early was important to her, she transferred to Gold Rush Charter School doing Independent Study. Audrey worked various jobs until she found something she knew she would enjoy and that would help her move towards her career. 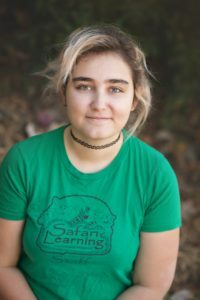 Audrey got a job at amazing Safari Learning Academy and started taking classes at Columbia College for child development. Audrey loves the staff and the children and is very appreciative to have a job she enjoys. In her free time Audrey likes to play with her dog and hang out with her family.